A selection of the need-to-know civil justice news for the week of April 4-10. 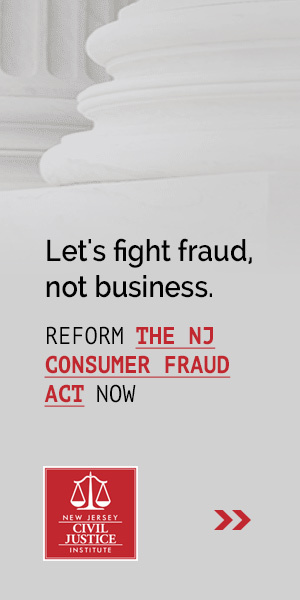 The five New Jersey law firm donors that received the most money in government contracts in 2014 contributed almost $450,000 to in-state political campaigns last year and received public contracts totaling more than $42 million during that time, according to information provided by the state’s campaign finance watchdog agency, the Election Law Enforcement Commission (ELEC). It has been more than 15 years since former Supreme Court Justice David Souter referred to asbestos litigation as an “elephantine mass,” the most massive of mass torts in America for decades. Though the U.S. epidemiological peak for mesothelioma—the incurable cancer caused by significant inhalation of asbestos fibers—came and went in the early 1990s, roughly 2,000-3,000 new claims for compensation are filed each year. The Wall Street Journal reports that civil lawsuits are piling up in the nation’s federal courts, causing years-long delays in cases involving civil rights, personal injury, and Social Security benefits, among others. The new AOC statistics are out. They’re a trove for appeals-nerds like me, and I’ll probably have a couple posts about them. First up: a look at the stats for published and unpublished decisions. The big news? In 2014, for the second year in a row, no circuit issued fewer published opinions than the Third Circuit. The Administrative Office of the U.S. Courts, the front office of the federal judiciary, has released is annual data on the functioning of the courts, and others have done the legwork to figure out which of the 94 federal trial courts cut through its caseload most efficiently in the fiscal year that ended in September 2014. Recently, when students of Rutgers’ arbitration law class were asked whether the New Jersey Supreme Court’s decision in Atalese v. United States Legal Services Group, which struck an arbitration clause in a consumer agreement for failing to give a consumer proper notice she was waiving her right to court, would survive U.S. Supreme Court scrutiny, there was consensus: there was a good chance it would not. The class thought that the decision may represent the kind of state court judicial hostility toward arbitration that the U.S. Supreme Court sought to stamp out under its Federal Arbitration Act (FAA) precedent. It looks like others may agree, as the opinion has been petitioned for U.S. Supreme Court review and several amici curiae have joined in support.